Our new Mercedes-Benz models offer more than just that traditional luxury-car sheen; they invigorate the senses, inspire you to attain greatness, and entice you to test drive till your limbs go numb. From the aerodynamic C-Class coupes and convertibles to the brilliant GLA SUVs, the new Mercedes-Benz cars, vans, and SUVs in our inventory are perfect portraits of innovation. When you buy a vehicle from our Columbus Mercedes-Benz dealership, you’ll straddle the line where conventional meets contemporary—and we’ll help you cross it. Once you view the world from inside one of our luxury cars, you’ll never see the road the same way again. 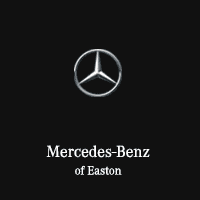 When you’re ready to test out any of our new cars for sale at Mercedes-Benz of Easton, don’t hesitate to call us at 888-530-5742 or visit our showroom at 4300 Morse Crossing in Columbus, OH. Conveniently located near the Port Columbus International Airport, our dealership proudly serves the entire Columbus-metro area, including Franklin County, Westerville, and Madison County. Whether buying or leasing a new Mercedes-Benz, you’ll never leave our dealership disappointed, disheveled, or dejected. As a premier luxury car dealer, we are committed wholly to customer care, because we realize that Mercedes-Benz vehicles will speak for themselves. Knowing that it takes two to tango, our team stands behind the iconic three-pointed star logo the best way we know how: By building long-lasting relationships with customers. Ready to take a spin around Columbus in a E-Class Sedan? Salivating at the idea of gliding down 670 behind the wheel of a Mercedes-Benz Roadster? Want to experience your usual route to the office differently from inside an C-Class Coupe? Whatever you choose, we’re confident that test driving has never been more fun. Our Mercedes-Benz experts are available and eager to show you what luxury is all about. View our lineup of new Mercedes-Benz models today, and embrace® a new level of four-wheeled elegance. Contact our sales floor at 888-530-5742 to schedule your test drive and ask for details about any of our certified pre-owned or new cars for sale.